KARATE: Melbourne beckoned for the region's karate talents last weekend. 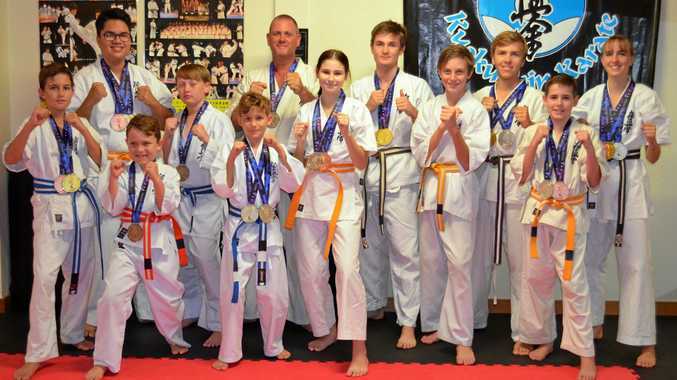 Members of the Cannonvale Kyokushin Karate Club and Whitsunday Proserpine Kyokushin travelled to the 2019 Arnold Classic staged at the Melbourne Exhibition Centre. Cannonvale Kyokushin Karate Club's Belinda Woodham congratulated all competitors from the region. 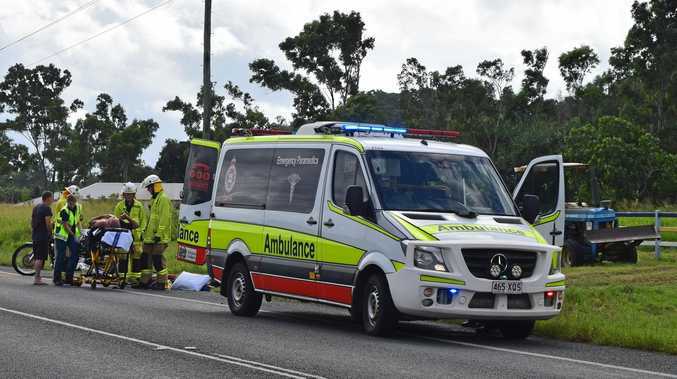 "Whitsunday competitors have been putting in the work preparing themselves for this event and they each went extremely well,” she said. Six karate aces landed success in their respective divisions. Ryan Stephens completed a winning double, finishing on top in the Kata Under 18 years 2nd Kyu & above and the Under 18 years non-contact 2nd Kyu & above. Monique Woodham landed three top three placings, headlined by an impressive victory in the full-contact Under 18 years 6th Kyu & above division. She finished second in Under 18 years non-contact 2nd Kyu & above and third in Kata Under 18 years non-contact 2nd Kyu & above. Dallas Woodham sealed top spot in the full-contact Under 18 years lightweight 6th Kyu & above. He also finished second in non-contact Under 18 years 2nd Kyu & above. Aiden Payet finished first in the Kata Under 18 7 - 3rd Kyu category, headlining a trio of top three finishes. He placed second in full-contact Under 18 years heavyweight 6th Kyu & above and third in the Under 18 years non-contact 2nd Kyu & above. Sean Taylor prevailed in the Kata Under-14 years white 7th Kyu. He also placed third in the full contact Under 14 years lightweight division. Those five are all members of Cannonvale Kyokushin Club, with Whitsunday Proserpine Kyokushin member Summer Johns the other class winner in the Victorian capital. Johns landed victory in the Kata Under 12 years 7th Kyu class. Other local aces to shine in Melbourne were. Jada Harrison, who finished second in Kata Under 16 years 7 - 3rd Kyu and third in non-contact Under 16 years 7 - 3rd Kyu. Nate Harrison placed second in the Under 14 years non-contact 6 Kyu & above and third in the Kata Under 14 years 6 Kyu & above. Sam Wilson secured second spot in the full-contact Under 12 years middleweight division. Kade Harrison collected a pair of runner-up placings at the popular event. He finished second in the Kata Under 10 years and second in non-contact Under 10 years. Hunter Playford placed second in the non-contact Under 10 years. Jake Johns sealed two third place finishes in the full-contact Under 10 years lightweight and Kata Under 10 years.